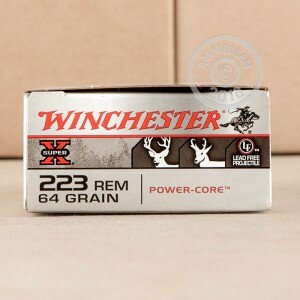 Winchester Super-X Power Core 95/5 ammo is a great choice for hunters who use the 223 Remington cartridge. These PHP (Protected Hollow Point) rounds are specifically designed to deliver knockdown power while the projectile retains most of its weight. You can expect to see around 3,020 feet per second at the muzzle. 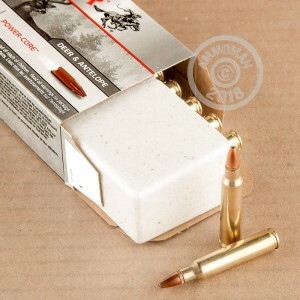 These rounds are boxer primed and are in new brass cases that are re-loadable. 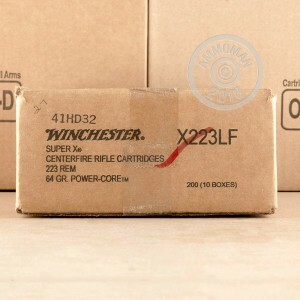 Winchester was founded in 1866 and is one of the most well known brand names in the ammunition industry today. The Super-X Power Core line offers great performance at an affordable price. All orders over $99 receive free shipping from AmmoMan.com! Stock up now and save more this hunting season.